Bees have found a new home—in the headlines of major news networks. And for good reason. The decline of bee populations has been well-documented around the world, setting ecologists and environmentalists abuzz with worry. In February 2017, the U.S. Fish and Wildlife Service added the rusty patched bumblebee—native to Eastern and Midwestern United States—to the Endangered Species List. This was the first such designation for a bumblebee—or for any bee species—in the continental U.S.
And cards continue to stack against the overall U.S. bee population. According to the Bee Informed Partnership, Apiary Inspectors of America, and the U.S. Department of Agriculture, the U.S. honeybee population plummeted by 44 percent in winter 2016. The culprits constitute a horror show of calamities: Parasitic mites, starvation, pesticides, and more. In a March 2017 interview with the San Jose Mercury News, Gordon Frankie, a research entomologist at the UC-Berkeley Urban Bee Lab, noted that native bee species in California also have felt the sting over the years (the recent historic drought only exacerbated the issue). We’re not just talking about that medium-sized, fuzzy black-and-yellow European honey bee with the trigger-happy, barbed stinger that most people connote with the word “bee.” In fact, bee species are as diverse and vibrant as the flowers they visit. “In San Francisco, there are about 200 different [bee] species,” Murray mentions. According to Murray, there are 350 different species in the Bay Area and about 1,500 different species in California. Honeybees, in particular, have been moving into the Presidio, according to David Harelson, Wildlife Biotech with the Presidio Trust. Feral honeybee colonies in San Francisco were low in numbers until 2006-2007—when the do-it-yourself honey trend and urban beekeeping surged in popularity. 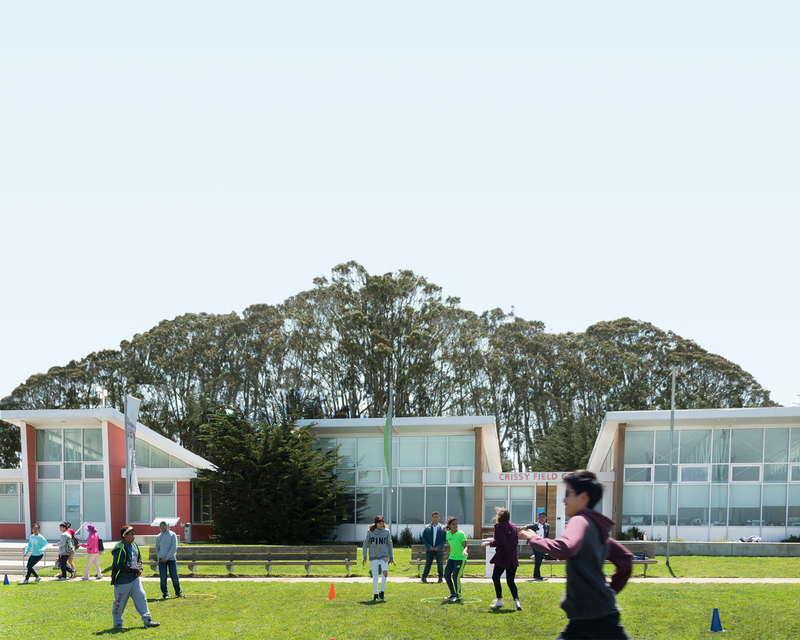 Why the Presidio? The same reason we all are attracted to the 1,400-acre park—that dose of a semi-wild landscape ripe with greenery. Bees, like us nature lovers, appreciate the refinements of an untamed terrain. But do these newcomer honeybees negatively affect native bee populations? Harelson says not so much. That’s where we come in. According to both Murray and Harelson, planting native plants can be a boon for native bee populations. To attract more pollinators in an environmentally friendly way, try maintaining a wild element in your garden—even if it means just leaving a bare patch of dirt. Also, creating a patchwork of diverse and brightly colored native plants also attracts bees like, well, honey. When coming up with a pollinator plan for your garden, Harelson advises paying attention to hydro-zoning, the practice of clustering together plants with similar water needs, and historical plant records for your neighborhood. See what’s historically grown in your neck of the woods before introducing new floral species. And don’t be surprised if you attract a whole host of non-bee pollinators as well. Regardless of the species, there’s a consensus that more needs to be done in our own backyards to invite and encourage bees and their pollinating peers, especially through native plant gardening. After all, to make a difference, it takes a hive.